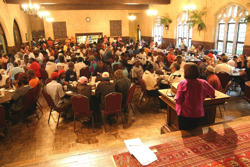 Idlewild Presbyterian Church has made an unparalleled commitment to the residents of the city. Midtown Memphis is much more to us than an address. Whether embarking on large-scale initiatives (such as building transitional housing or forming a board to assist at-risk children and families) or offering a hot meal and warm fellowship to neighbors in need, Idlewild members strive to live their faith in the community. 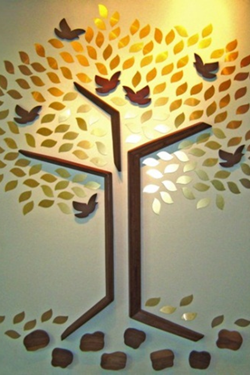 The members of Idlewild's Outreach Leadership Team use the image of a tree to guide their work. The tree is rooted in Scripture, especially in Jesus' direction to remember those who are hungry, thirsty, a stranger, naked, sick, or a prisoner ( Matthew 25). The three branches reflect three areas of outreach (Compassion and Justice, Children and Families, and International Missions), and the abundance of leaves reflect all of the committees and teams that offer their time and gifts to the community. The intention is that our outreach be fruitful, guided as it is by a model that's supportive and dynamic. If you are interested in getting involved in one or more of our ministries, or have an idea for a new ministry, please contact Sara Dorrien-Christians. This branch prioritizes adults who are most vulnerable and marginalized in Metro Memphis. At 5:00 p.m., guests are invited to a half-hour worship service that includes the celebration of Communion, and at 5:30 we gather in the dining room for supper, where we do more than eat: we listen to music, share concerns, pray for our community, and form friendships. If you are interested in joining us, please contact Dare Estok at dareestok@gmail.com, or simply arrive on Thursday evening by 5:10 for an orientation. Beginning in the fall, our Community Support Committee receives grant requests from organizations and ministries doing amazing things in Memphis. They review the requests, visit all the applicants, and prayerfully and thoughtfully discern how Idlewild Church can support community partners. Recipients have included Door of Hope, Church Health, First Presbyterian Soup Kitchen, Mid-South Food Bank and the BackPack Program for Brewster Elementary School, MIFA, Hospitality Hub, Friends For Life, Hope House Memphis, Memphis Union Mission, The Caritas Commuity, Dress for Success Memphis, Las Americas Community Center, Family Promise of Memphis, Community Alliance for the Homeless, RISE Foundation, Samaritan Counseling Center, South Memphis Alliance, Outreach Housing and Community, Multi-National Ministries, Refugee Empowerment Program, World Relief Memphis, Binghampton Christian Academy, A Step Ahead Foundation, Beating the Odds Ministries, Community of St. Therese of Lisieux, Memphis Area Legal Services, Memphis Child Advocacy Center, Books from Birth, Boys and Girls Clubs of Greater Memphis, Neighborhood Christian Centers, Room In the Inn-Memphis, and YWCA-Memphis Family Shelter. For more information, please contact Lane Faughnan at lfaughnan@bellsouth.net. Every Sunday morning, one or more members from this committed team provides welcome, care, and compassion for God's people seeking assistance. These members greet, listen to, pray with, and build relationships with guests who need help because of poverty, crisis, mental illness, addiction, or a temporary setback. For more information contact David Bell at david_bell@fd.org. Please do not give cash to people who ask for help at church! Each time that happens, the church office gets inundated by guests who come during the week saying, “We heard Idlewild is giving money.” If you would like to respond to people who ask for food or the like, you might carry gift cards for Back Yard Burgers, McDonald’s, etc., to offer. If someone asks for money or help on Sunday mornings, please introduce the guest to one of our Hospitality Team members on call (go to the office). Thank you for the many ways you care for God’s people year round! The Compassion Fund is a benevolence fund used by our Outreach Ministry to provide help for those seeking assistance with rent, utility bills, prescription medication, counseling, bus cards, and emergency housing. The Compassion Fund is supported exclusively by donation, and most especially by special offerings several times a year. You can donate to the Compassion Fund online or mail/bring a check (note "Compassion Fund") to the office. In the Binghampton community, gardens full of fresh tomatoes, okra, green beans, and other nutritious veggies are teeming with life. They are tended by Idlewild gardeners, neighbors, and friends who meet on Saturday mornings and Monday evenings to plant, tend, and harvest the produce. Children in the Binghampton community share in the work and the fun as they learn about gardening, fresh food, and money management. 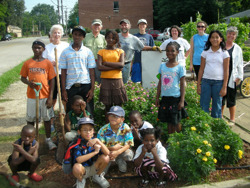 In 2010 the gardeners started working with GrowMemphis, which supports community gardens throughout the city. For more information, please contact Carl Awsumb, awsumbcarl@me.com. In the Binghampton community, gardens full of fresh tomatoes, okra, green beans, and other nutritious veggies are teeming with life. They are tended by Idlewild gardeners, neighbors, and friends who meet on Saturday and sometime Wednesday mornings to plant, tend, and harvest the produce. Children in the Binghampton community share in the work and the fun as they learn about gardening, fresh food, and money management. See garden activities, photos and contacts at mcmertongardening.godaddysites.com. 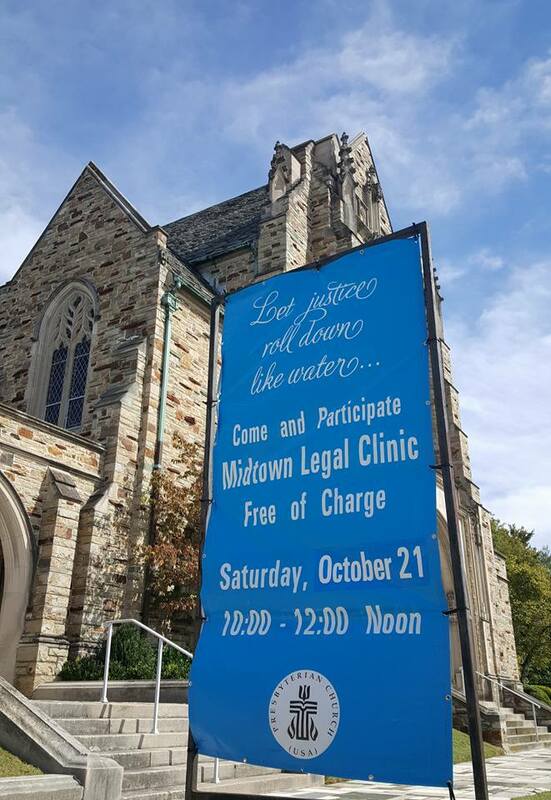 Coordinating with Memphis Area Legal Services and volunteer lawyers, Idlewild organizes, promotes, and hosts two free legal clinics each year, offering assistance to anyone who seeks it. For more information, please contact Bruce Webber, brucewebber@earthlink.net. HopeWorks, Inc. is a not-for-profit organization that seeks to serve the under-resourced through outreach programs that develop individual worth, encourage personal responsibility, and promote the honor and value of work. By implementing a holistic approach through daily classes and meals, educational training and spiritual counseling, HopeWorks strives to break the cycle of crime, addiction, and generational poverty that traps so many in our city (www.whyhopeworks.org). Idlewild Church has supported the HopeWorks organization by organizing volunteers to serve as "Faith Encouragers" in the Prison Ministry unit. We've also provided space for classes and invited speakers in to grow community awareness. This growing network of citizens is part of a national effort to memorialize over 4,000 known lynchings in the Unites States between 1877 and 1950. In our local context, we intend to tell the whole and accurate truth about the history of Shelby County, opening our hearts and our communities to racial healing. In the service of acknowledging our shared history of racial violence and our ongoining resolve for racial justice, The Lynching Sites Project seeks to identify the names of victims of lynching in Shelby County, locate the sites of these lynchings and place a memorial at each one, and to hold interfaith services at those sites. In addition, The Lynching Sites Project partners with others in Shelby County are working for racial healing and truth, and seeks to create groups and classes where the deeper, more difficult conversations about race and racism can take place. As a congregation with a long history of opposing racial violence and stratification, Idlewild Church supports and participates in this project of truth-telling and healing. For more information, please contact Mary McIntosh, mcomcintosh@gmail.com. This area of outreach ministry prioritizes children, youth, and families in the Metro-Memphis. The Children and Family Enrichment Center is a not-for-profit organization that officially opened in the summer of 2017. It is the product of the church's discernment and planning for the "next steps" in Idlewild Church's outreach in the city. CAFE provides counseling for children and their families as they grieve the death of a loved one; Universal Parenting classes where parents receive professional counseling, information, and emotional support; and a Childcare Center (still in the planning stage) that will provide preschool, summer camp, after-school care, and enrichment classes. The Early Enrichment Center will open in January 2019. Guiding the philosophy and goals of CAFE is the awareness of Adverse Childhood Experiences and how those experiences intersect with extreme poverty and the lack of jobs, education, healthcare and strong support systems for many Memphis children and families. The goal is to offer children and families tools for lifelong resilience. CAFE is committed to being part of the solution with a new, creative approach. For more information contact The Rev. Margaret Burnett, margaret@idlewildchurch.org. Coordinating with the Mid-South Food Bank, a team of Idlewild volunteers pack backpacks with weekend meals for food-insecure children at Brewster Elementary School. The packs ensure that the children receive six nutritious meals before they return to school each Monday. For more information about the BackPack Team contact Erin Simpson, erintsimpson@gmail.com. This outreach branch prioritizes partnerships and projects that are in communion with the Presbyterian Church (USA). 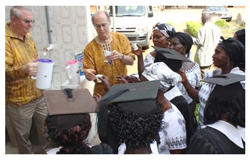 Partnering with Living Waters for the World, Idlewild Members have installed water purification systems in Ghana, with more on the way. Living Waters for the World (a PCUSA) ministry) has shared water with over 900 commuities in 25 nations. In addition to installing the systems, mission trip participants learn how to train our partners in Ghana, empowering them to sustain their systems and install more, ultimately providing clean water access to other communities. For more information, please contact Steve Valentine, swvalent@bellsouth.net. Shop Amazon and help Living Waters of the World. Use the link below, and don't forget to bookmark it for future shopping. 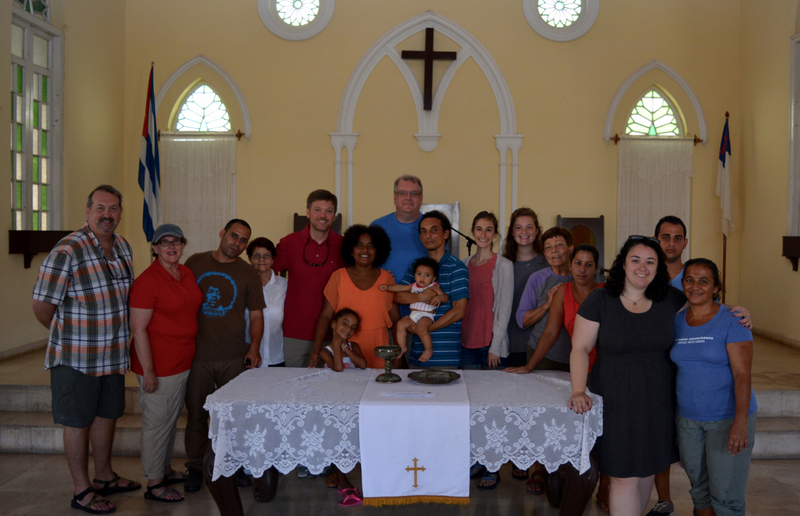 Seeking to grow together in Christ across the traditional barriers of culture, political systems, and experience, the members of Idlewild Church and Juan G. Hall Presbyterian Church in Cardenas, Cuba, have formed a partnership of mutual love and support. Included in the partnership's shared objectives is to experience from each other the power of God's love, the meaning of being brothers and sisters in Christ, and the joy of sharing with, and learning from, one another. An exchange of visits nurtures the development of friendships and greater understanding. For more information, please contact A.J. Northrop, genteelrogue@yahoo.com. 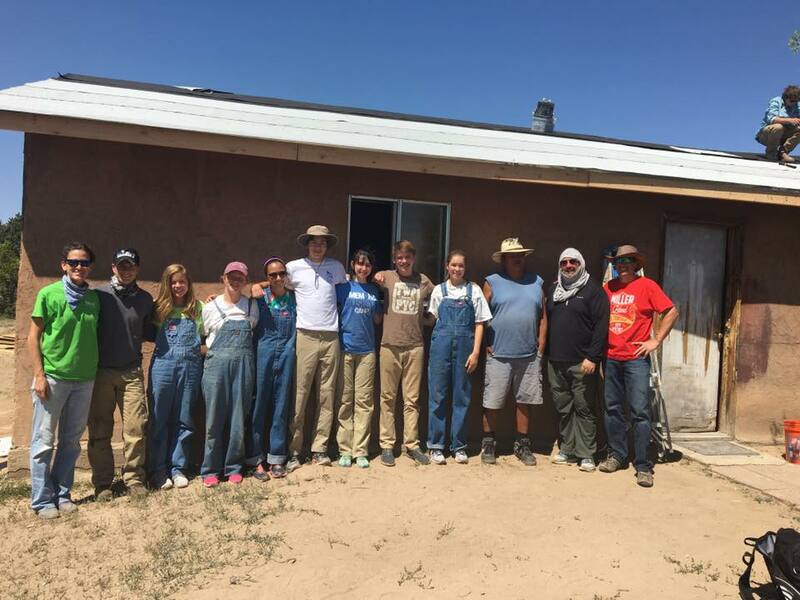 Idlewild's senior high youth travel to Nicaragua and U.S. cities including the Navajo Nation in New Mexico to join God's people in building schools, restoring houses and playing with children. In 2018, 23 senior high youth along with 8 adult leaders traveled to Catadupa, Jamaica to work on the foundation of a school through Experience Mission. Their shared mission experience inspires our church in mission! For more information contact Frank Kelly at fkelly@idlewildchurch.org.